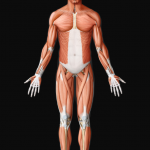 Virtual human body app is a worthy anatomy app with its fluid simple interface. The level of anatomy is high and there is a wide range of structures included. Overall one of the leading 2D apps and highly recommended for medical students.